Blizzard have announced that they’re opening an esports arena of their very own in California, which will play host to events featuring some of the company’s biggest games. 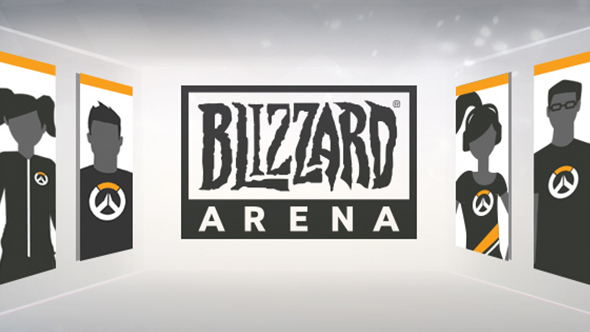 First up will be Hearthstone and Overwatch, both of which will have tournaments when the venue opens in October, and the arena will later host the first season of the Overwatch League. Looking for more details on upcoming Blizzard esports? Here’s everything we know about Overwatch League. Blizzard Arena Los Angeles will take over the Burbank Studios building which formerly hosted the Tonight Show, and will feature multiple sound stages, control rooms, and player lounges, allowing more than one event to be held at a time. Merch-hungry fans will be able to drop money at an on-site store featuring goods tailored to the current event. The arena will officially open for the Overwatch Contenders Playoffs October 7-8, pitting European and North American players alike against one another. The Hearthstone Championship Tour takes over on October 13, presenting the Summer Championship with $250,000 on the line. The Heroes of the Storm Global Championship Finals and World of Warcraft Arena Championship will be held later in the month, building toward further competition at BlizzCon in Anaheim on November 3. Later this year, Blizzard Arena will also begin its role as home for the inaugural season of the Overwatch League. The league, inspired in structure by traditional sports, was announced at BlizzCon last year, but it was some time later before details around the organisation took greater shape.